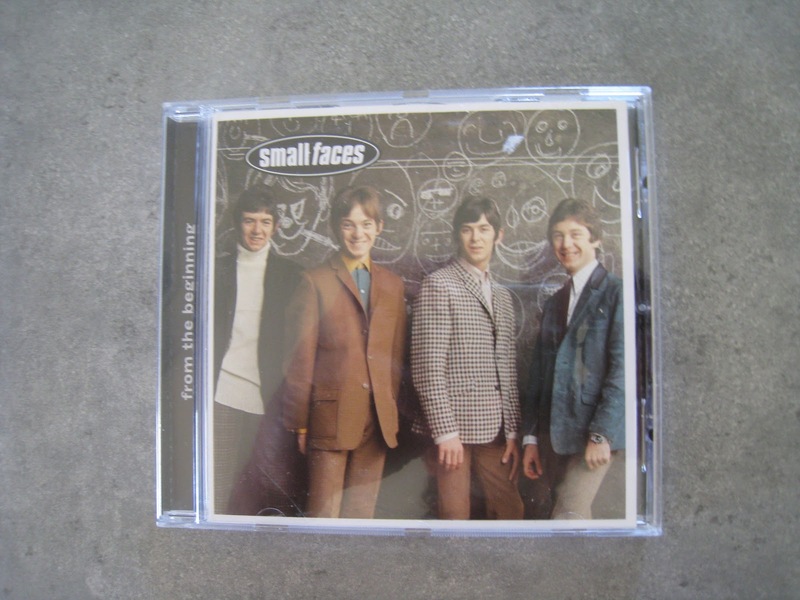 The Little House of Concrete Music: Small Faces "From the Beginning"
While From the Beginning might have been an exercise in emptying the vaults and causing maximum disruption to the rival product on the Immediate label it ain't too shabby. 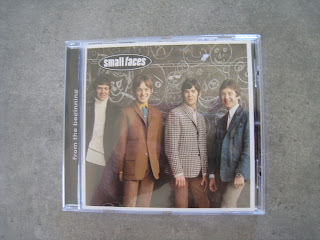 Admittedly I didn't really need the album, having already got the Decca hit singles (What'cha Gonna Do About It, Sha-La-La-La-Lee, Hey Girl, All Or Nothing and My Mind's Eye) on an earlier Faces compilation, but from the opening reworking of Del Shannon's Runaway it's a reasonably interesting collection, largely drawn from the band's stage repertoiire over the preceding year or two. There's material from both versions of the lineup, with keyboard duties attended to by former member Jimmy Winston (interesting take on the Marvin Gaye cover Baby, Don't You Do It with a Winston vocal) and his replacement Ian McLagan. Other covers include readings of Don Covay's Take This Hurt Off Me and Smokey Robinson and the Miracles' You've Really Got A Hold On Me that underline what a great R&B vocalist they had in Mr Marriott. Other tracks, like My Way Of Giving (rushed out as a single by Decca while it was still at the demo stage, an act that was largely responsible for the move to Immediate) were more or less works in progress. Tell Me Have You Ever Seen Me may well have actually been finished, but was re-recorded for the new label) or demos for material handed over to other singers (My Way of Giving was done by Chris Farlowe and re-recorded for the new label). There's a Booker T & the MGs style instrumental (Plum Nellie), a couple of interesting bits of semi psychedelia (Yesterday, Today, and Tomorrow and That Man) a handful of dance floor numbers and the reissue comes with around a half dozen alternative tracks and BBC recordings. Taken all together, while it mightn't have quite been in the same league as the classic albums from 1967 (The Doors, Something Else By The Kinks, or Disraeli Gears to name a couple of less obvious suspects from a very strong year) it's not that far behind. And for $10.07? For mine, a no-brainer!